Here’s another rare MB (Milton Bradley) release in my collection. It’s the Autobot mini vehicle Huffer. 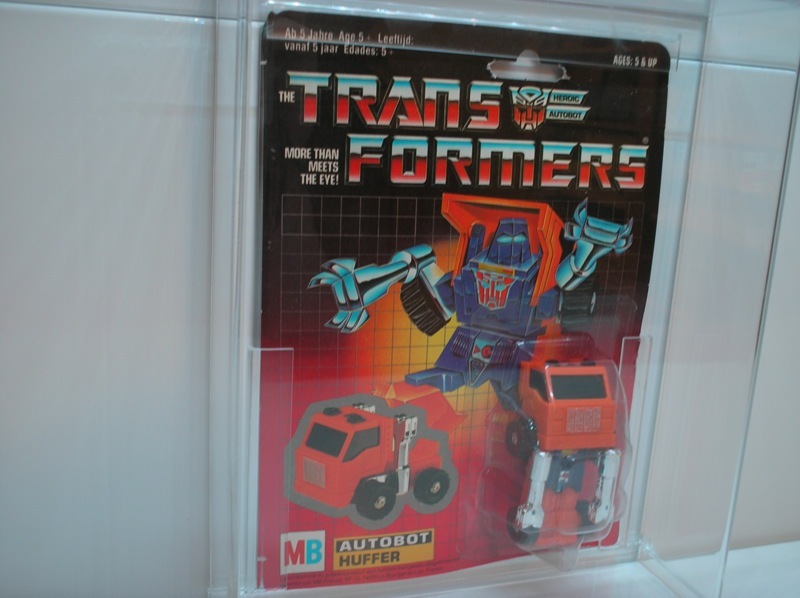 Except for the fact that it’s a MOSC (mint on sealed card) Huffer, this MB version of Huffer has the oddity of Huffer being carded in a halfway transformed robot mode! Have a look! Why is that strange, you might ask? Well, in the U.S. Huffer was released twice. 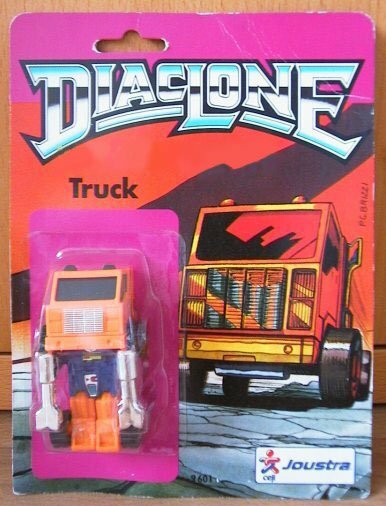 Once in 1984 where Huffer was available as a so-called pre-rub version (the first wave of Transformers in the U.S. did not have any rub-signs that would show the Transformer’s allegiance once rubbed) and Huffer was pre-transformed into his truck mode as you can see in the photograph below. Then, in 1985, Huffer was released again in the U.S. as many of his mini-vehicle brethren, but this time in robot mode as you can see in the picture below. 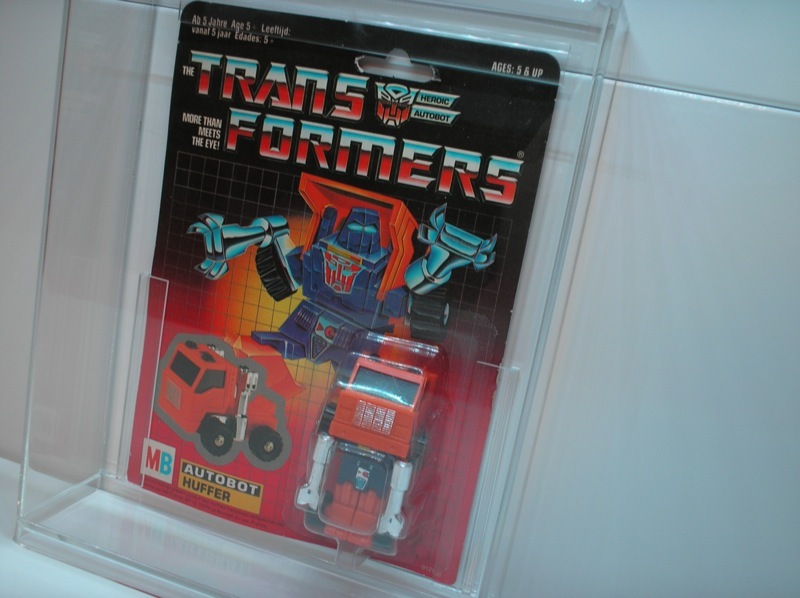 As you can see, the card looks a lot like the 1985 U.S. release with the exception of the mini-spy, but Huffer is only half transformed. 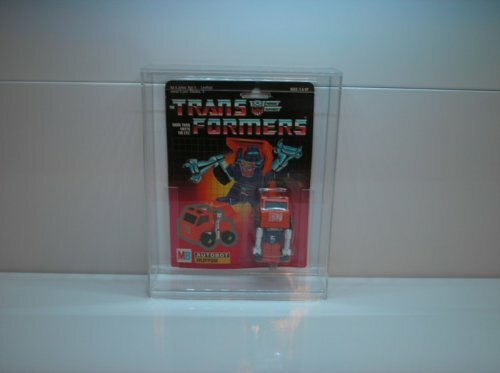 The cab portion hasn’t been flipped back to show Huffer’s face! 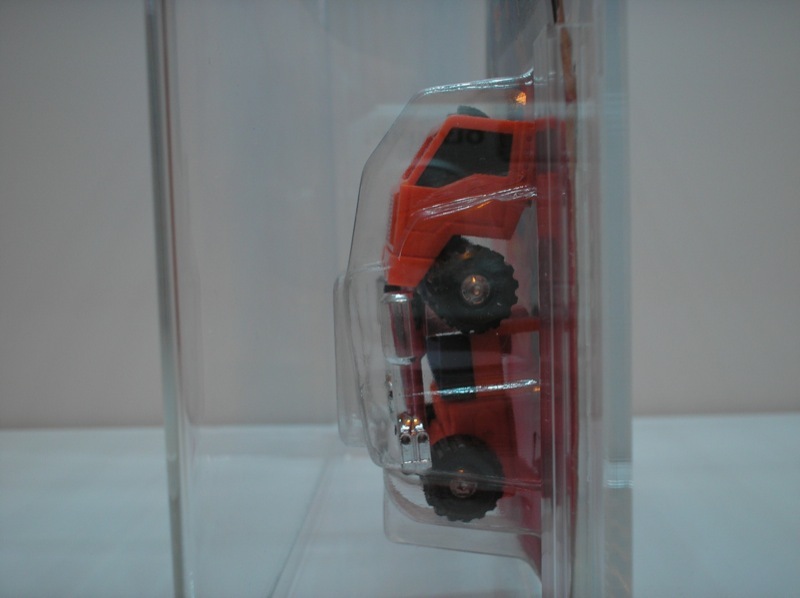 So what we’ve ended up with here is a robot-mode Huffer with the cab still down obscuring his head. Pretty weird, huh? 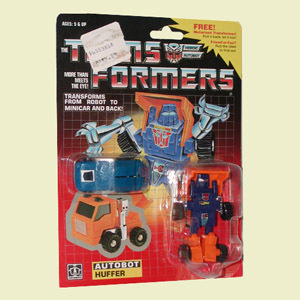 I’ve never seen any other G1 Huffer releases that have him carded like this. 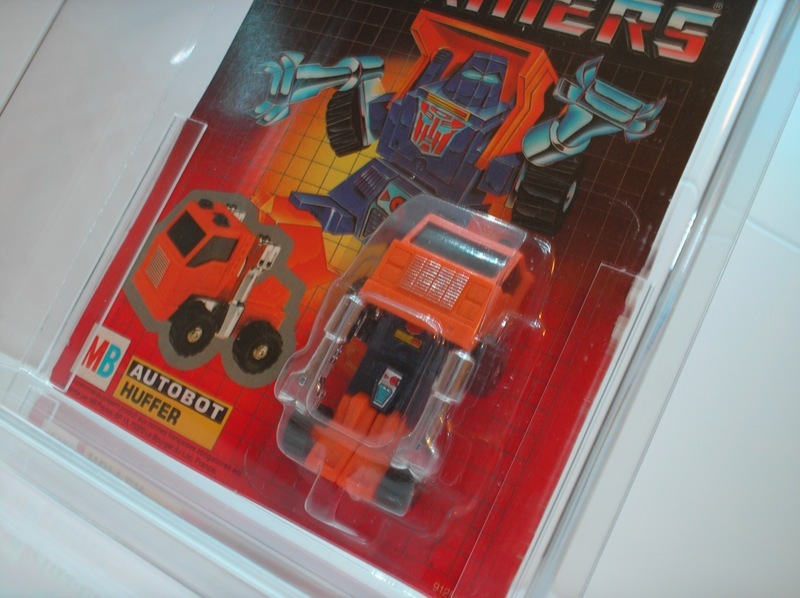 If we look closer at the bubble, we can see that it matches Huffer’s halfway transformed mode perfectly! UPDATE: It seems that the Joustra Diaclone version of Huffer, known simply as ‘Truck’, has Huffer carded in the exact same manner as this MB release! Very peculiar! Moving over to the back of the card we see the usual quad-lingual tech-specs in German, French, Dutch and Spanish and the copyright notice says “(c) 1985 Milton Bradley International Inc. under Berne & Universal copyright convention. Made in Japan. Printed in France. 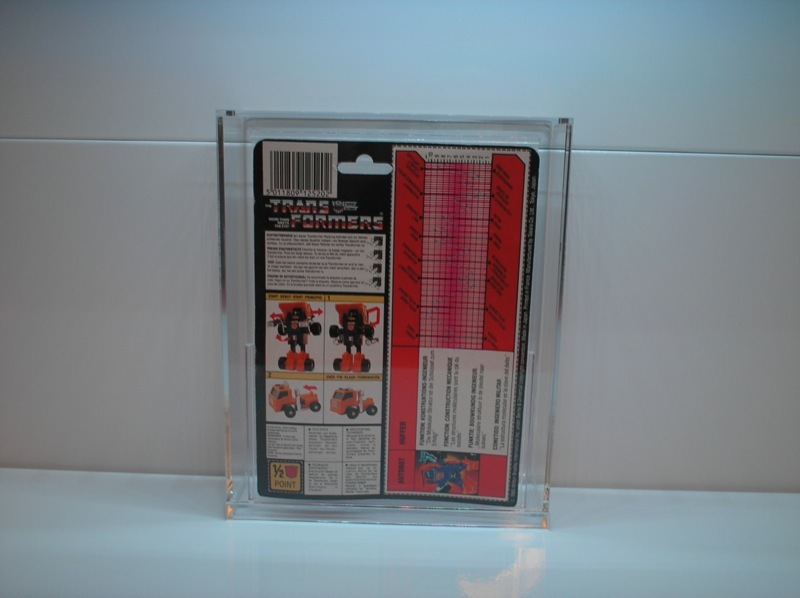 Manufactured by Takara Co. Ltd., Tokyo, Japan.”. Damn, aren’t these MB releases beautiful? 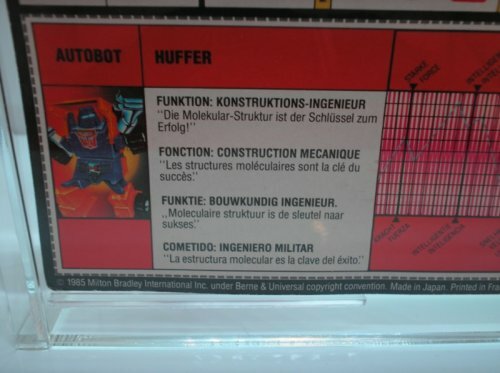 Although the back of the cards and boxes are usually more crowded due to the necessity of having everything stamped in 4 languages, the front of the cards and boxes usually look much more tidy, not in the least because the text “transforms from (insert anything here) to robot and back” is missing. Probably due to the fact that having that text translated into 4 languages would be too crowded for the front of the card. And there you have it! 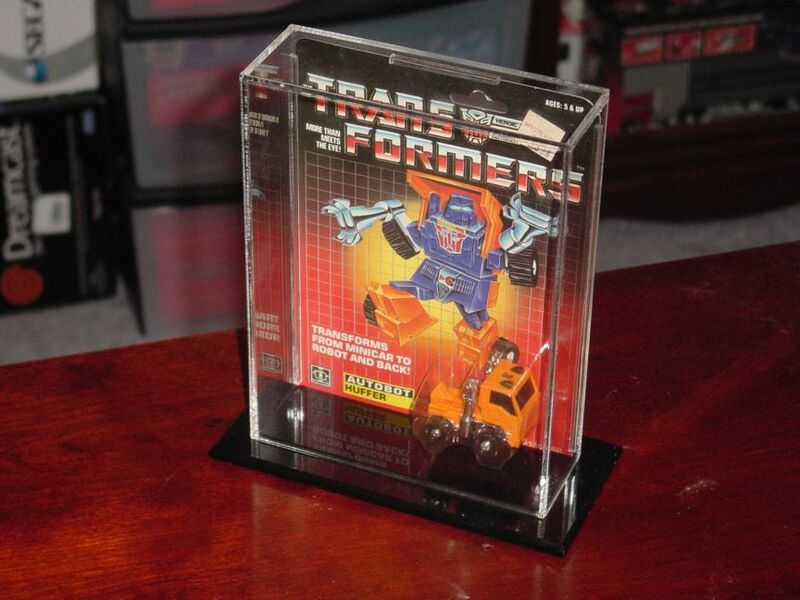 Another interesting MB G1 Transformers release for any G1 collector to sink his teeth into. This one definitely shouldn’t be missing from your collection! 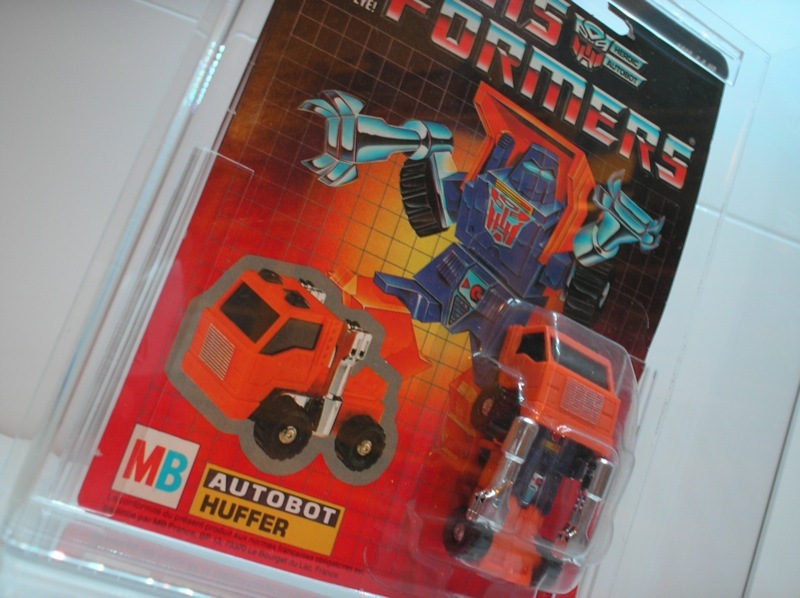 Thanks to Manny Galeano for the photograph of Huffer from his collection. Check out his website at www.smokescreen-38.com.